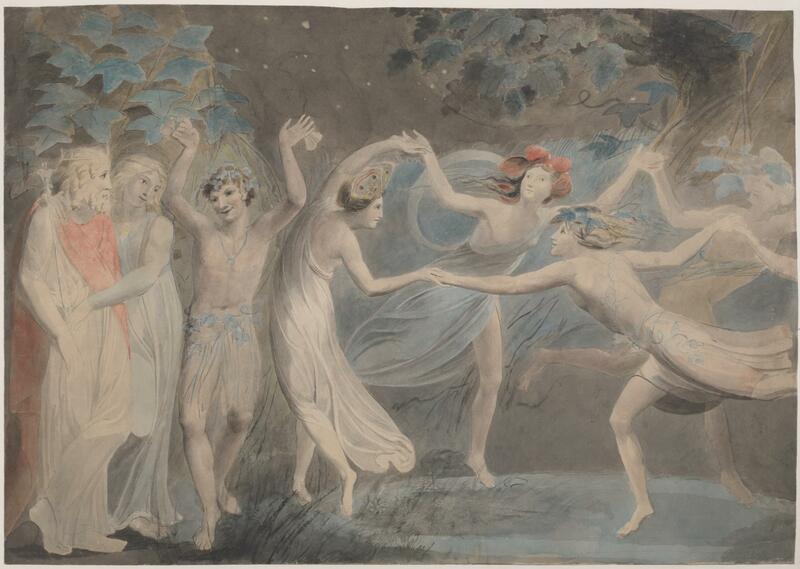 William Blake, ‘Oberon, Titania and Puck with Fairies Dancing’ (c.1786). CC-BY-NC-ND 3.0 Tate. The music composed for David Garrick’s great Shakespeare “Jubilee” of 1769, the most talked about cultural event of the British 18th century, is currently being brought back to life in a pioneering recording by BSA member David Chandler, director of the Retrospect Opera, a small, UK-based charity which makes professional recordings of important musical theatre works from Britain’s past, roughly the period 1750-1950. Music from the Stratford Jubilee festival was subsequently embedded in Garrick’s sensationally popular musical comedy, The Jubilee, premiered the same year. Next year will of course mark the 250th anniversary of these remarkable events, and the recording release will mark that anniversary. David Chandler says: We want to create something that is at once scholarly, with appropriate supporting documentation, and musically and theatrically done to the highest level, capturing how much fun it all was. Charles Dibdin’s music is tuneful and delightful, demonstrating just how much Shakespeare had become part of popular culture. There are more details about the project here. Although we are about 80% funded for this, we are very keen to find more supporters, and are hoping (praying!) that individual Shakespeareans who understand the enormous importance of the Garrick Jubilee and recognise the value of reviving and commemorating it will want to help us. The bulk of our funding always does come from individuals, and we have various levels of supporter, as the website explains (basically £25, £50, and £100 categories). All supporters will of course get a copy of the recording and accompanying materials, with all donations of £25 or more being listed on the website and those of £50 or more also being listed in the booklet issued with the CD. Anyone willing to help us can do so from the Donate page. As a registered charity, we can claim Gift Aid on your donation.